To ensure that you have an enjoyable and safe cruise, we want to be sure that you and your crew know how to handle the yacht you have chosen. 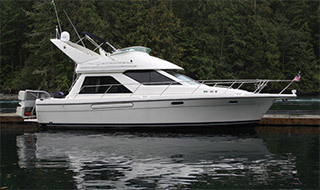 Each charterer must complete a Boating Experience Resume, which will help us with our review of your skills. Recent practical experience skippering aboard a similar size and type of vessel. On charter day you will receive a Check-Out of the yacht including a systems orientation and a chart review of your cruising area. 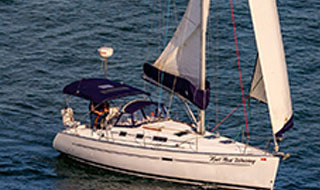 Observation of your boat handling skills to confirm the skipper's ability to maneuver the vessel may also be required. It is not intended to teach boat handling skills. If you would like additional training, AYC offers programs to sharpen your skills and/or completely train you and your crew for your cruising vacation. Under certain circumstances, AYC may request you arrange for private, prequalification time prior to your scheduled charter. 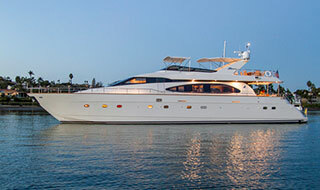 Typically this is done when a charterer would benefit from "hands-on" time aboard the boat chosen for charter. Based on the Boating Experience Resume, the skipper should only need a limited time aboard the boat to prepare for a safe cruise. Prequalification time is scheduled in the spring for an additional fee and usually takes 1-3 hours of time. We encourage the "crew" to join the skipper so that our staff can include reminders to those responsible to assist the skipper when arriving and departing moorages. This custom training program is designed for the sailor who wishes to develop a higher level of competency by taking an instructor along on part or all of his charter. When proficient boating skills are demonstrated the instructor may depart at our marina or one of the ferry landings on the islands with ferry service to Anacortes. AYC screens the instructors for their experience and personality. These amiable instructors will work with you as you develop the skills to handle your boat. The instruction fee is $375.00 per day. 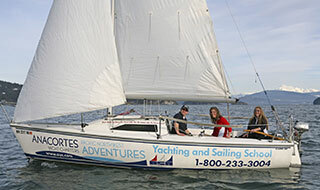 Private ASA Sailing Instruction is also available for a fee of $375.00 per day plus certification and materials. Please contact our office for further details.